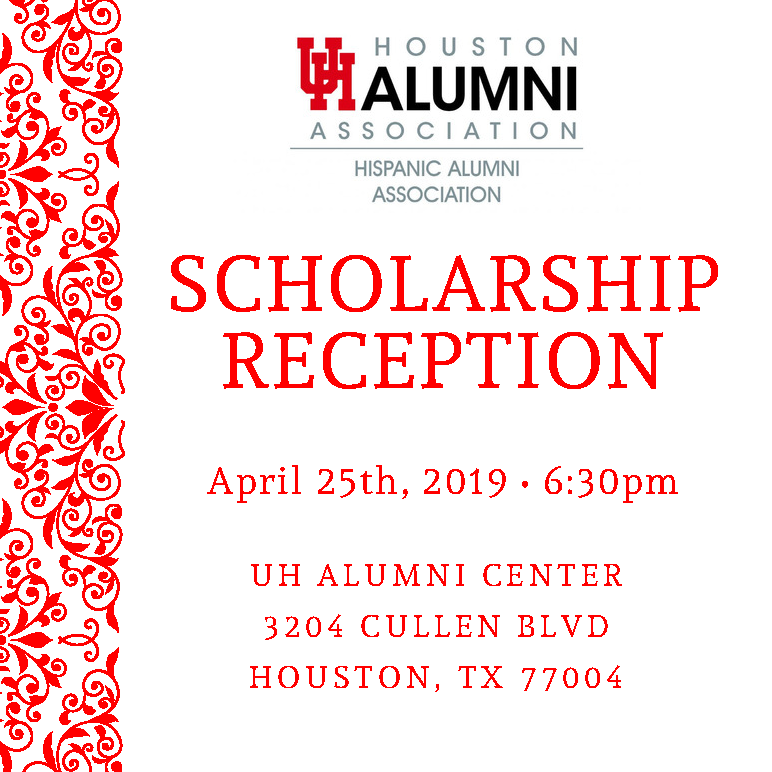 With the 2018 – 2019 school year coming to an end, the UH Hispanic Alumni Association will like cordially invite you to its Annual Scholarship Reception where we will be celebrating all the accomplishments made by the organization this school year. We will also be recognizing our 2018 scholarship recipients and announcing the 2019 Scholarship Recipients as well. We are excited to share this moment with all of you that have been supporting us throughout this whole year. This reception will take place at the UH Alumni Center – Melcher Boardroom on the evening of April 25th from 6:30 pm to 9:00 pm.